MANHATTAN BEACH, Calif. (KABC) -- A special education teacher with the Manhattan Beach Unified School District and a 10-year Manhattan Beach police employee were killed in the mass shooting at an outdoor country music festival in Las Vegas. Sandy Casey taught at Manhattan Beach Middle School for the past nine years. Sandy Casey, a special education teacher with the Manhattan Beach Unified School District. "She's absolutely loved by students and colleagues alike and will be remembered for her sense of humor, her passion for her work, her devotion to her students, her commitment to continue her own learning and taking on whatever new projects came her way. She's made a tremendous difference in the lives of our students and their families, many of whom worked with her over multiple years. Her loss will be deeply felt at MBMS and throughout the entire Manhattan Beach community," MBUSD Superintendent Mike Matthews said Monday morning. This morning we are reaching out to you in shock and grief. As you may have read in the news, last night there was an unprecedented mass shooting near Mandalay Bay Resort and Casino in Las Vegas during a concert that was part of the Route 91 Harvest Country Music Festival. There have been multiple fatalities and even more injuries. Several members of our MBUSD community were at the concert and in the vicinity of the attack. We have been in contact with MBMS Principal Kim Linz, who was in attendance. She is unharmed, as are MBMS teacher Ms. Debbie Dreiling; school psychologists Ms. Marjorie Questin and Ms. Emily Allen; MCHS and Meadows instructional assistant Mr. Chris Willemse; and Pennekamp Principal Dr. Karina Gerger; who were there as well. However, we have received information that one of our MBMS Special Education teachers, Sandy Casey (formerly Sandy McDermott), was fatally wounded. This is unbelievably sad and tragic. We wanted to let you know so that you can be prepared to support your children and to help them process this information. As you can imagine, this loss is impacting many of our staff members deeply, and while we collectively grieve, we will be working to provide support to everyone affected. Teachers at MBMS will be sharing the news with their classes today so that we can be sure that all students hear accurate information from an adult rather than through the rumor mill. All staff at all of our school sites have been informed as well, and they are working to keep things calm and the day as typical as possible in order to support our students. We have mobilized counselors who will be on campus at MBMS and other schools as needed, throughout the day today and over the coming days to provide support for students, teachers, and parents. Teachers will monitor and work with students to ensure they are connected with those resources as needed. We thank you for your support of your children and our staff. 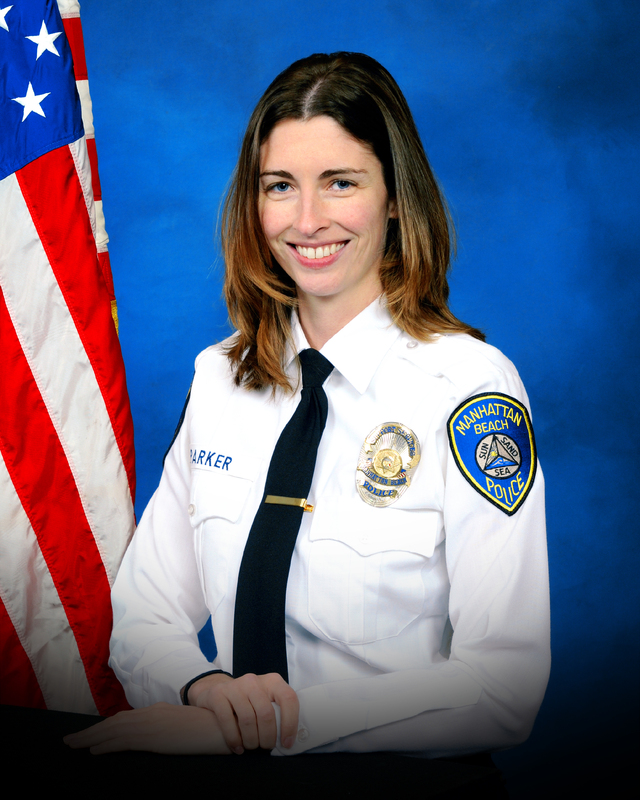 Rachael Parker was a Manhattan Beach police records technician. She was employed by the Manhattan Beach Police Department for 10 years. She lost her life in the hail of gunfire at the concert at Mandalay Bay Resort and Casino Sunday. She was 33 years old. "She was bubbly. She was enthusiastic. She was giving," said Jan Buike, a friend of Parker. Parker was working toward her bachelor's degree in social work and she had recently adopted her second dog and was excited about buying a new condo, according to Buike. "Whatever she did, whether it was walking her dog or working with the older adults, she was enthusiastic about it," said Buike. "I think we just are in shock. I think for many of us, it has just not hit home. Reality has not set in," said Capt. Tim Hageman of the Manhattan Beach Police Department. Chaos erupted in Las Vegas, Nevada as an armed gunman opened fire on a crowd gathered at a country music festival. Several Southern California residents were injured in the shooting rampage, including multiple fire department and law enforcement officials. Authorities say Stephen Craig Paddock, 64, of Mesquite, Nevada, opened fire on a crowd of around 22,000 concert goers at the Route 91 Harvest Festival. Paddock was perched on the 32nd floor of the Mandalay Bay Hotel and Casino when he fired an automatic weapon, killing at least 58 people and injuring at least 515 others Sunday night.